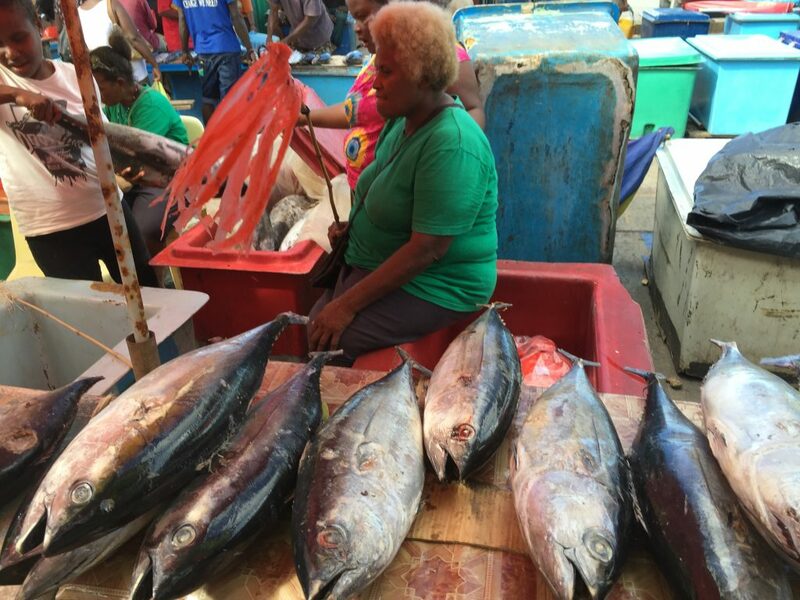 Whether you enjoy eating tuna in your lunchbox sandwich, have a stake in the long-term sustainability and livelihoods of Pacific tuna fishing nations, or simply care about the future of healthy oceans and fish populations—it’s worth taking note of an important convening this week that could decide the future of sustainable tuna. The Western and Central Pacific Fisheries Commission (WCPFC), an international treaty organization of 35 member nations and territories charged with negotiating the management for tuna, sharks and rays, is meeting this week in Honolulu. These species are classified as highly migratory, meaning they swim through internationally managed waters, making collective management a necessity. Tuna in particular, are highly valuable and face several thorny challenges that have resulted in less than optimal socioeconomic and biological performance, including weaknesses in current management that has allowed illegal, unreported and unregulated (IUU) fishing, interactions with sharks, as well as human rights abuses. That’s why decisions made at this forum are so important.